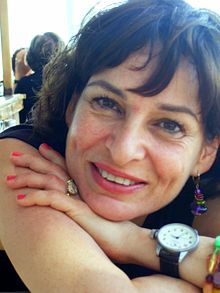 Orna, (Liron Ben Shlush) is the mother of three young children with a husband struggling to start his own restaurant. To help support her family Orna returns to the workplace, landing a job with a former army superior, Benny (Menashe Noy) who is now a successful real estate developer. While Orna embraces her new position and tries to balance its demands with her home life, she begins to experience escalating sexual harassment from her boss. Her rapid rise through the ranks and her increasing financial success seem to parallel a pattern of predatory behavior which ultimately brings her career and marital relationship to the brink. This timely and devastating psychological horror story is expertly told by long time feminist filmmaker Michal Aviad (Dimona Twist, The Women Pioneers, Invisible, For My Children). She joins us for an engaging conversation on an all too familiar story of a woman, simply trying to do her job and finding out its not enough. This entry was posted in drama, Film Festival, Film School interview, foreign, Indie by admin. Bookmark the permalink.